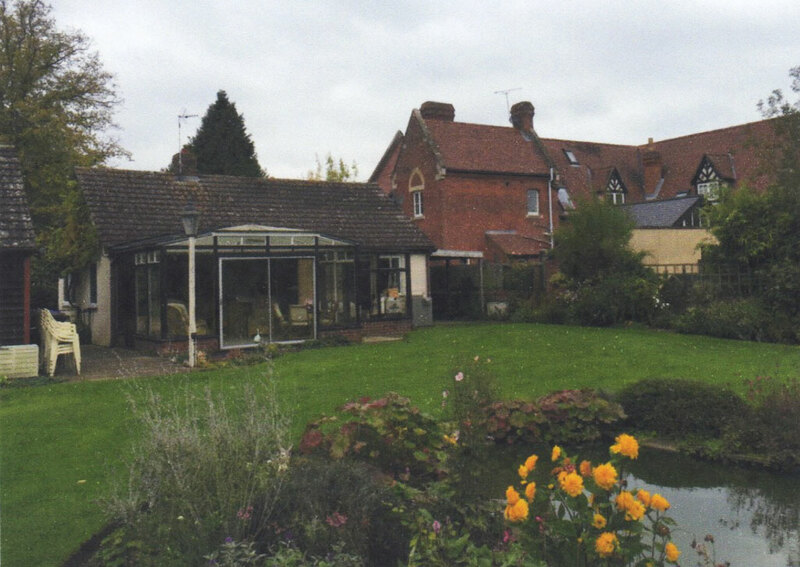 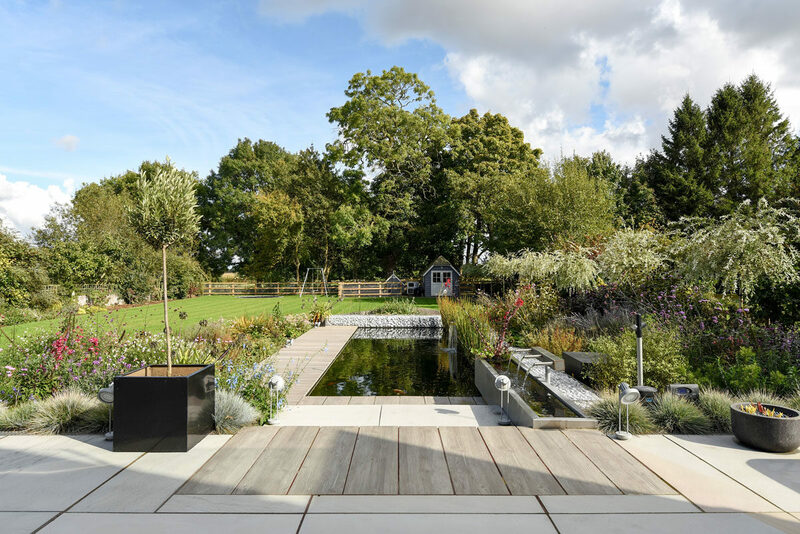 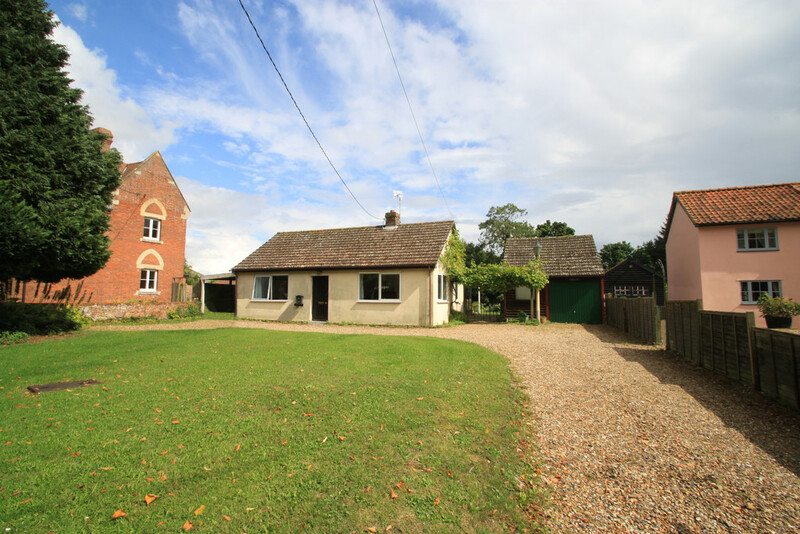 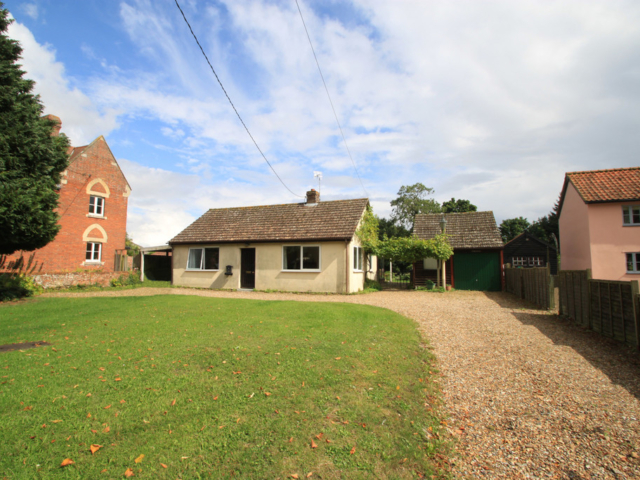 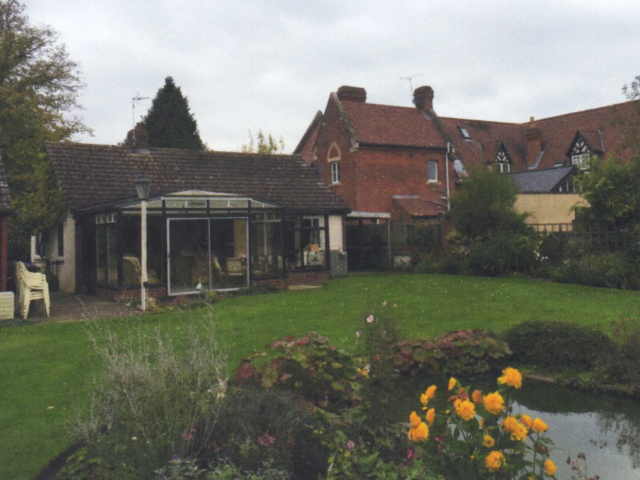 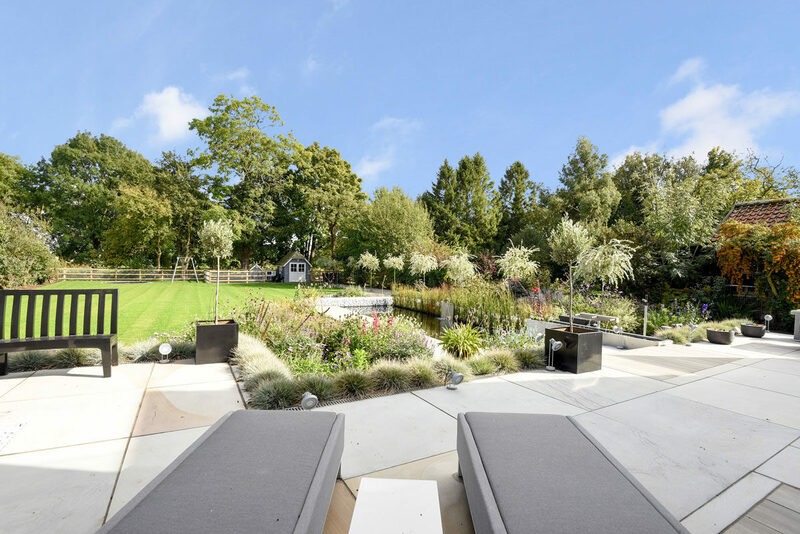 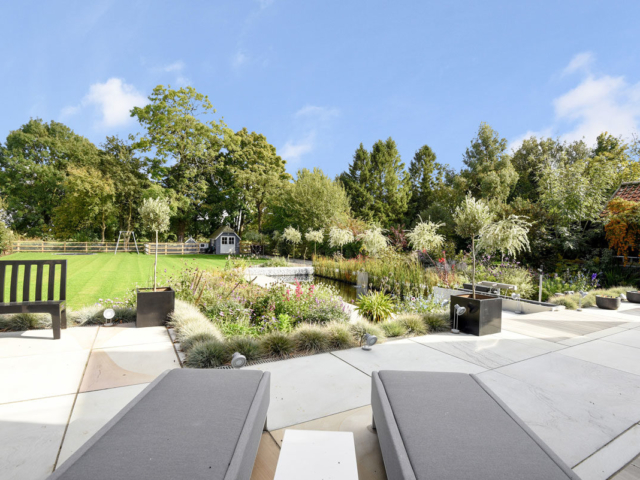 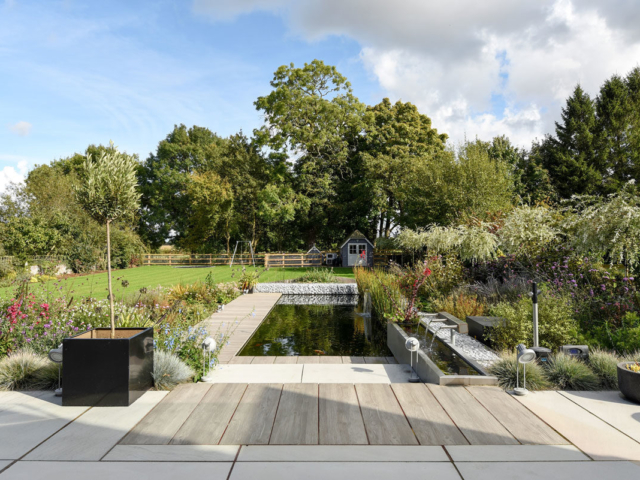 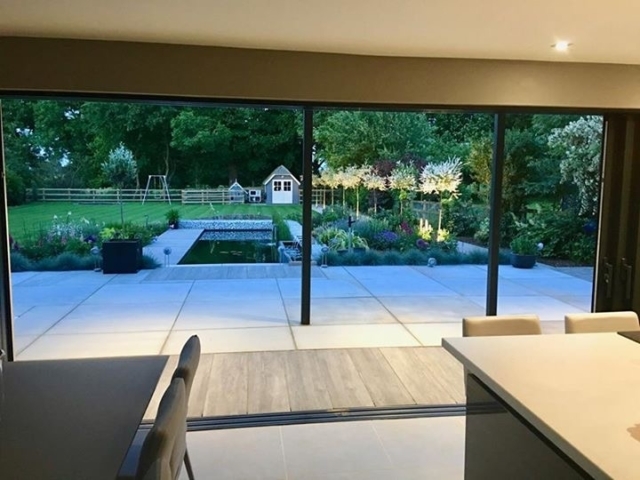 The client purchased an existing house within a small village with the ambition to demolish and construct their new dream home within the already mature garden grounds. 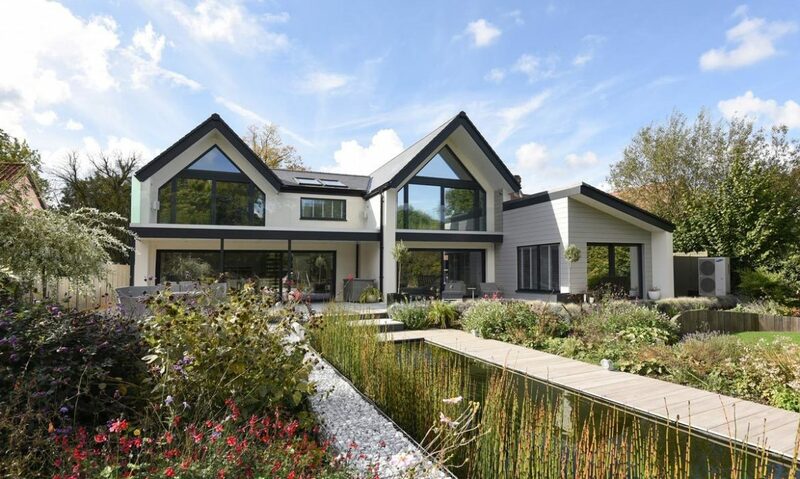 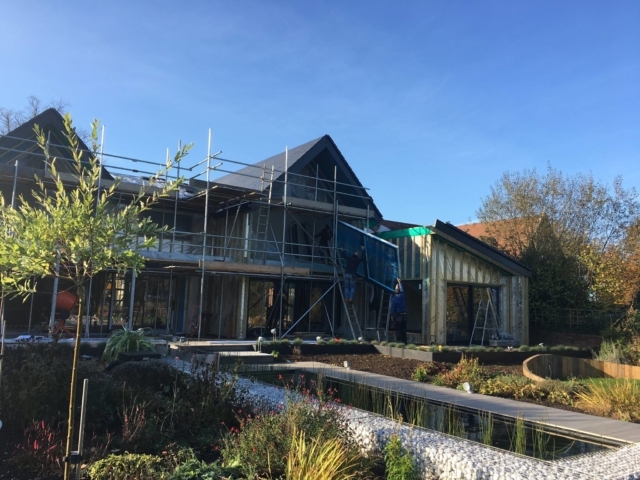 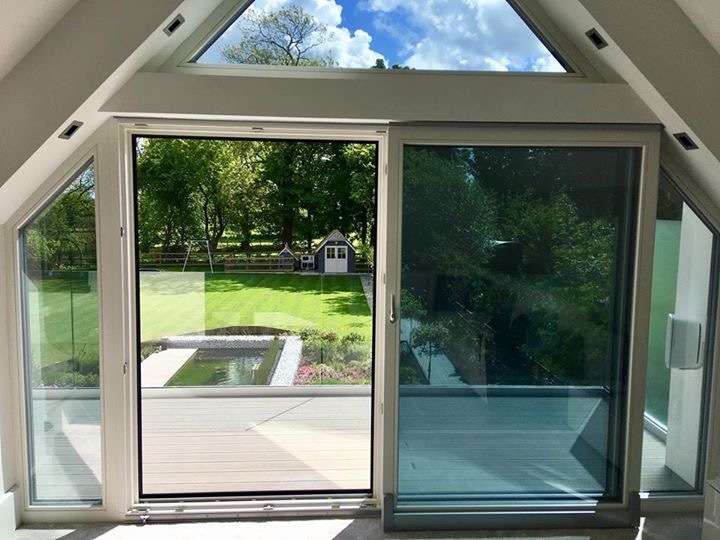 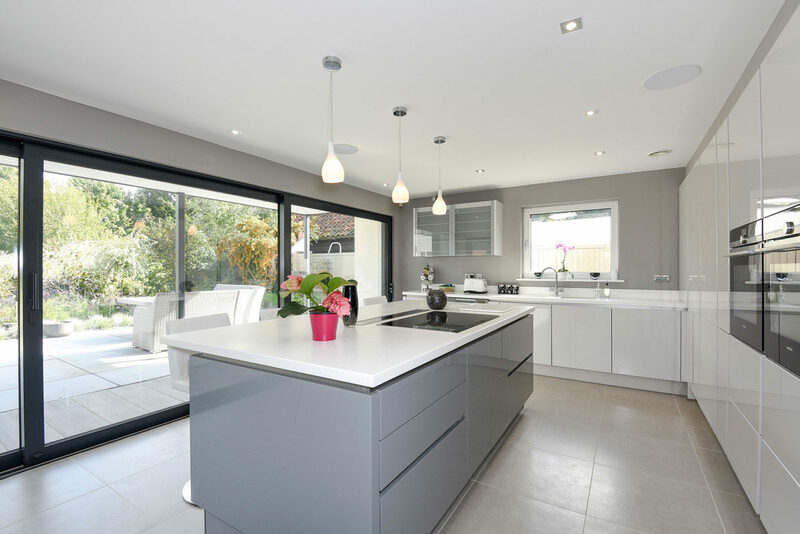 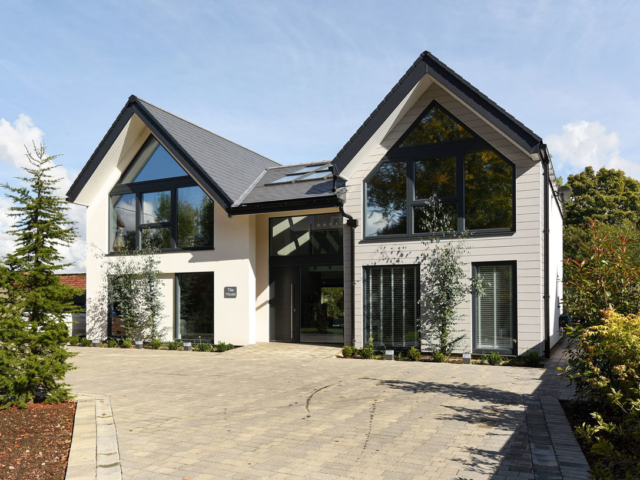 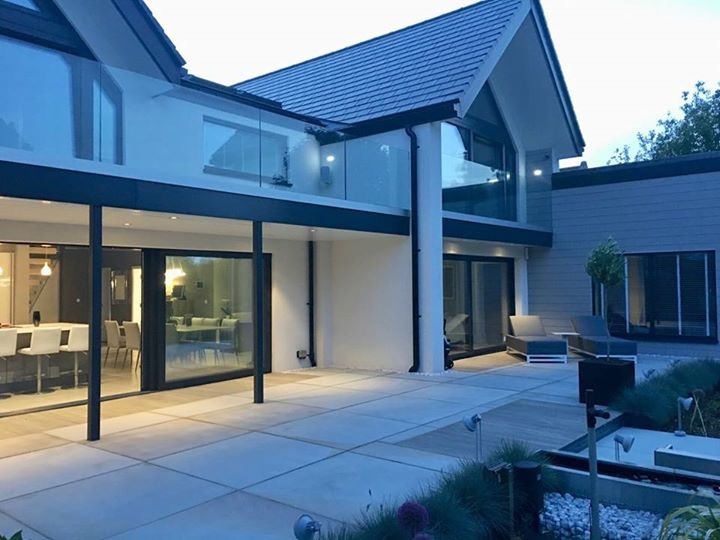 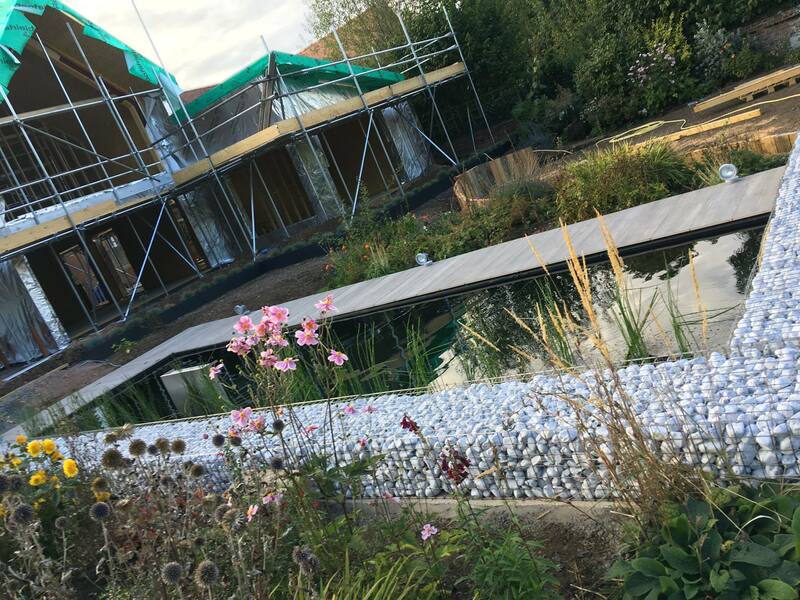 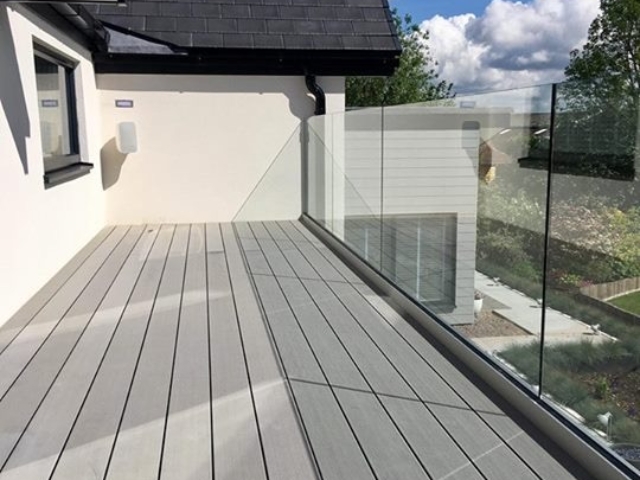 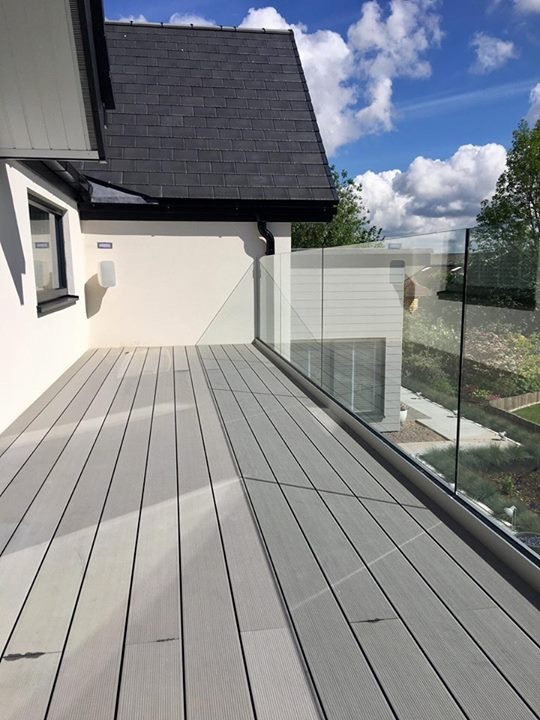 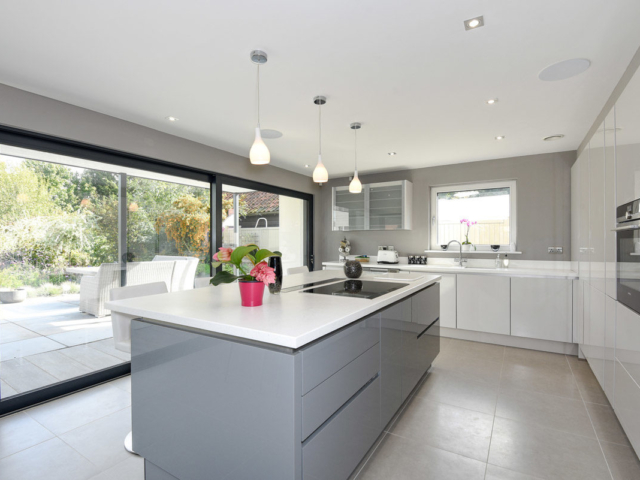 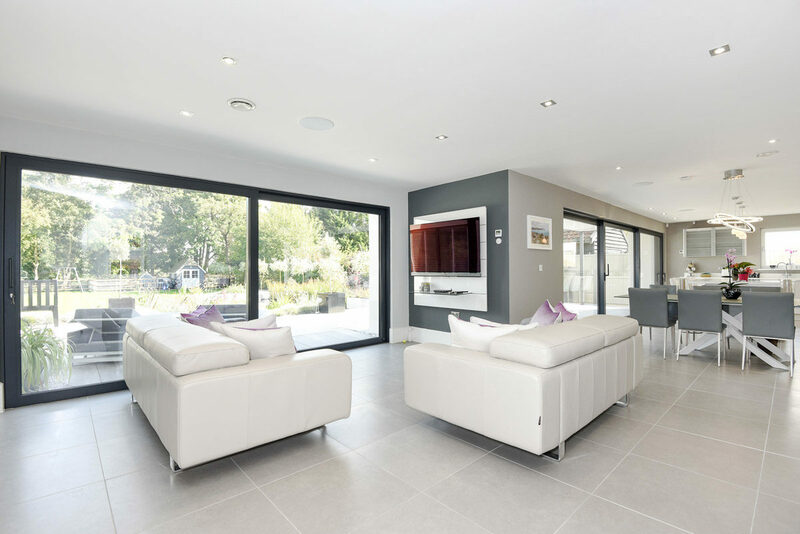 The client approached AC Architects after their friend had recommended the practice – following two houses the friend had completed in Cambridge with AC Architects. From the outset the client had a strong vision and lots of ideas of what they would like to create in place of the house they had purchased. 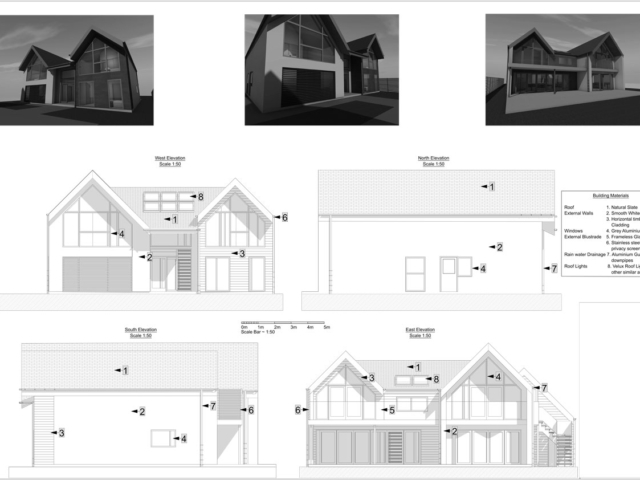 This clear vision made the design process very efficient, going from initial design proposal to a design freeze in a matter of weeks. 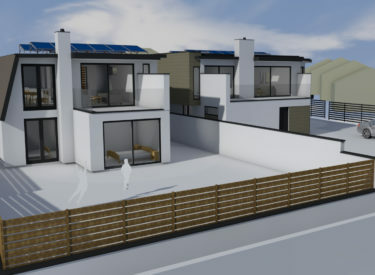 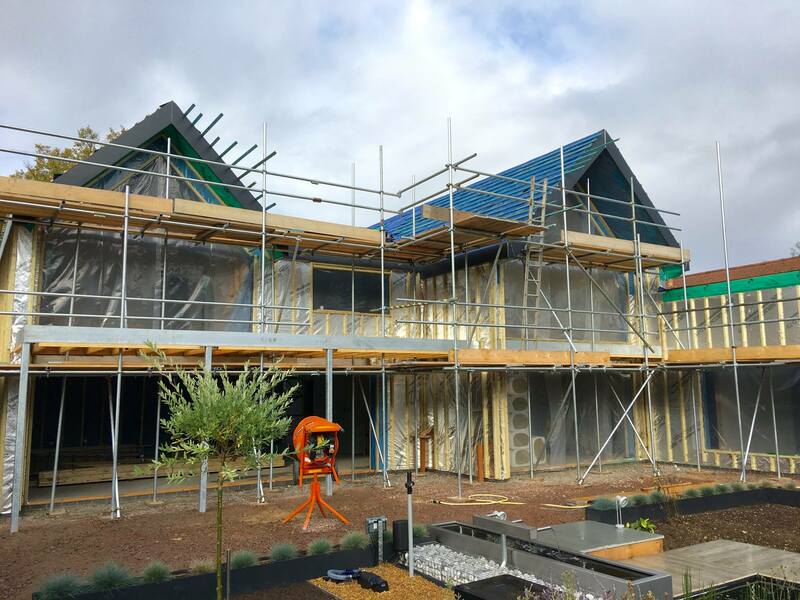 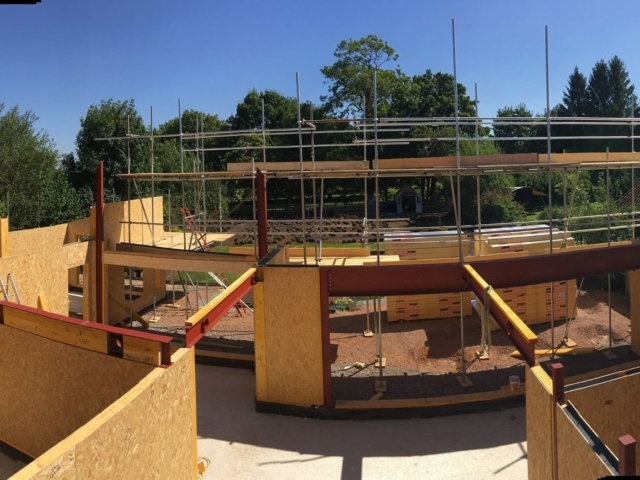 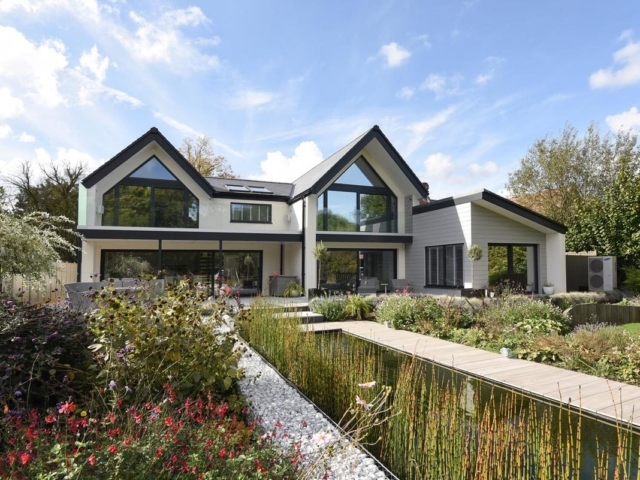 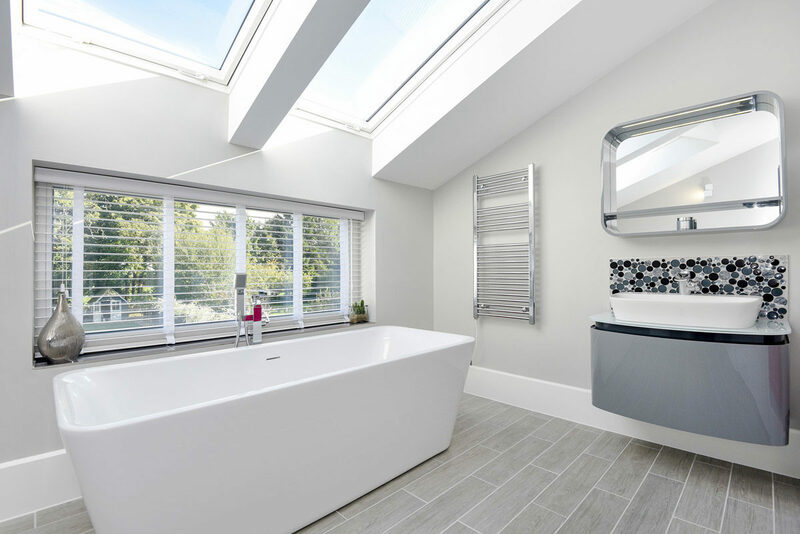 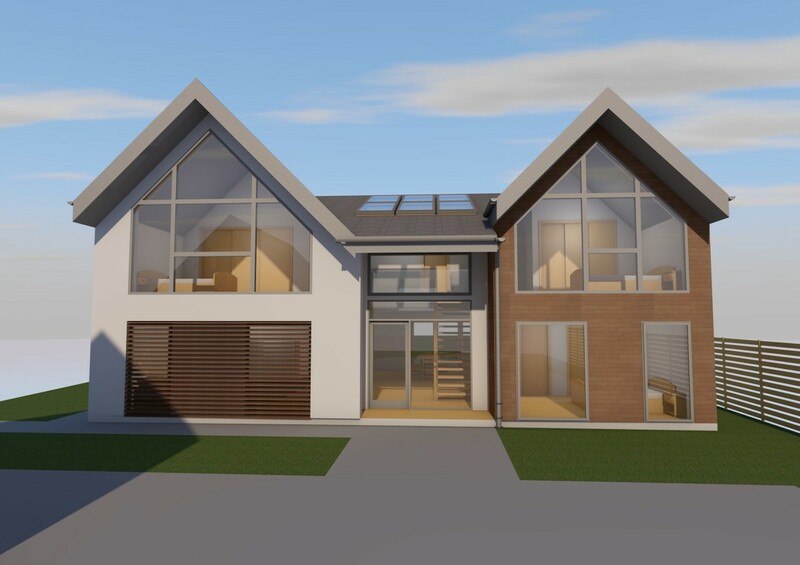 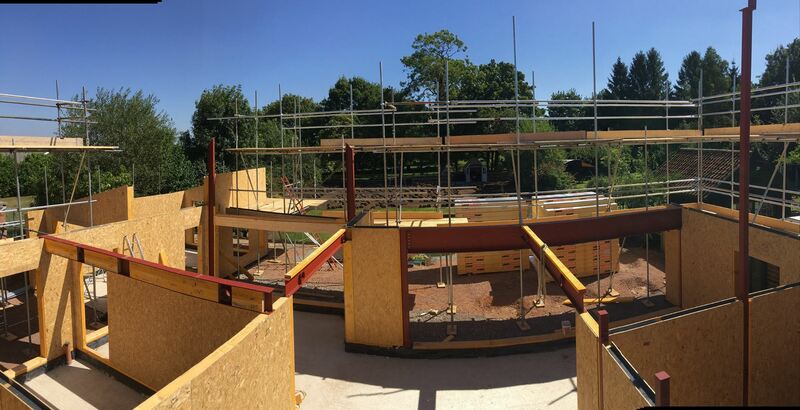 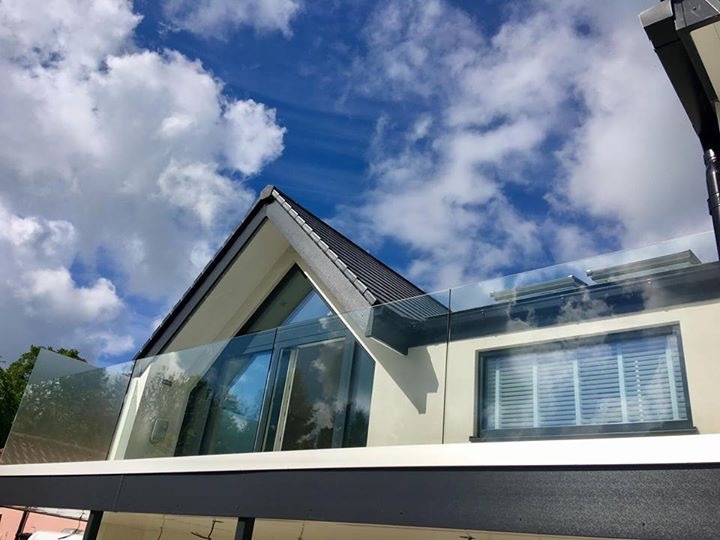 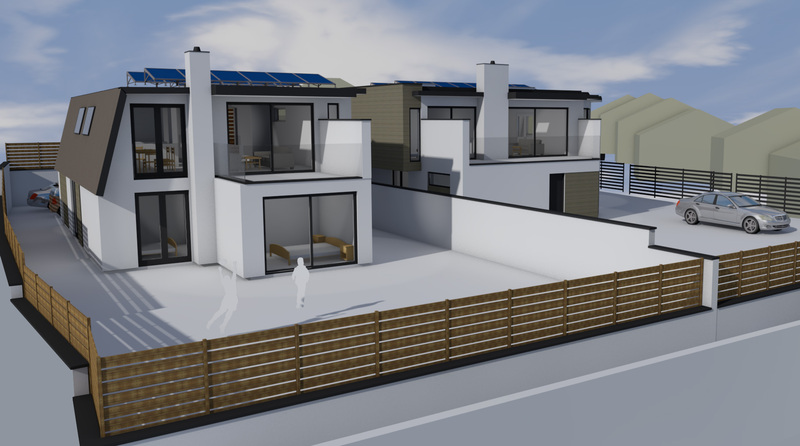 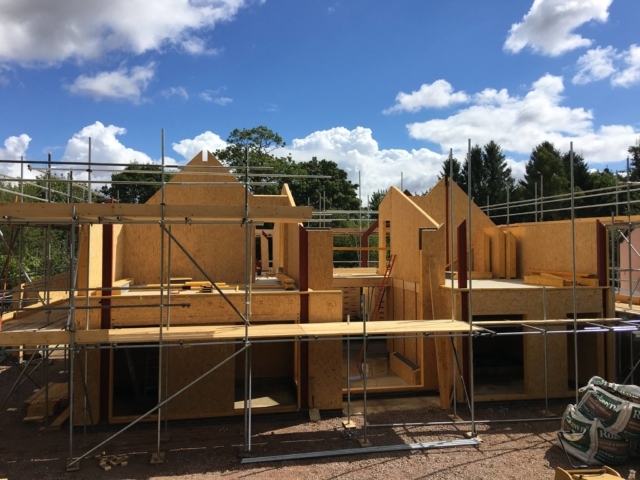 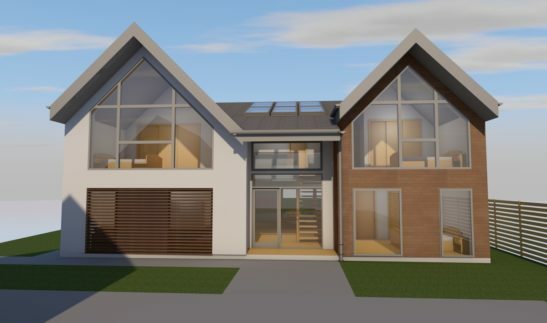 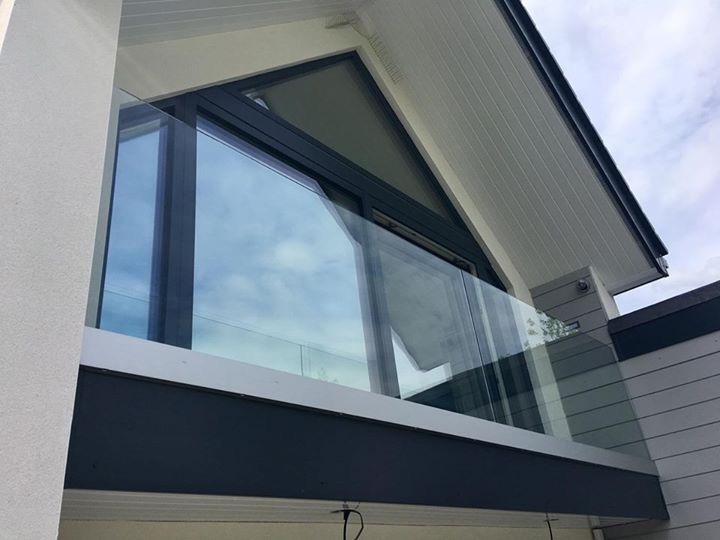 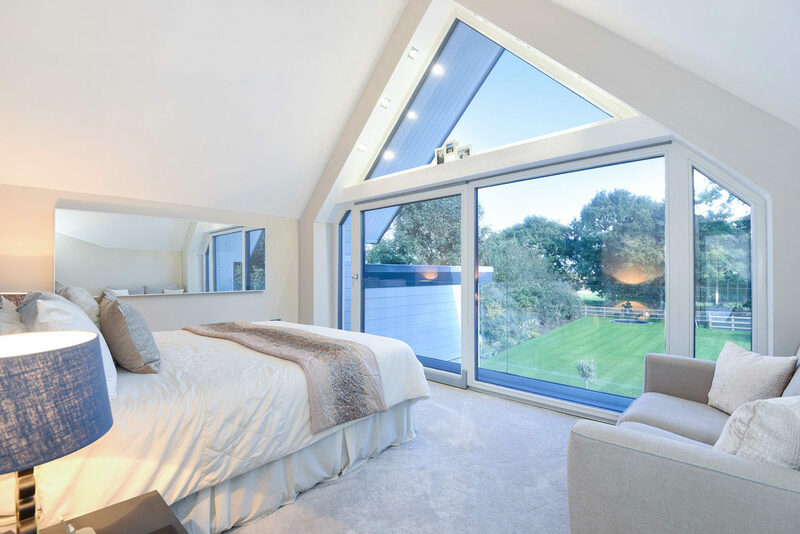 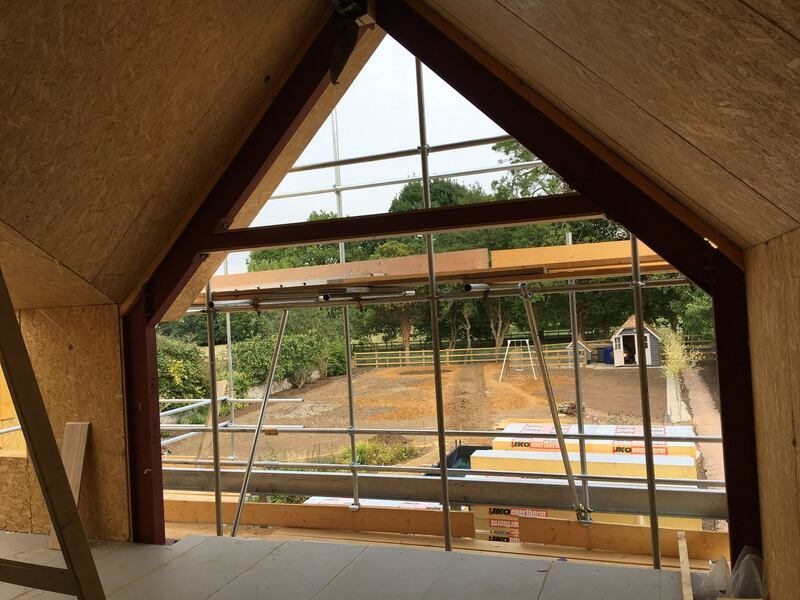 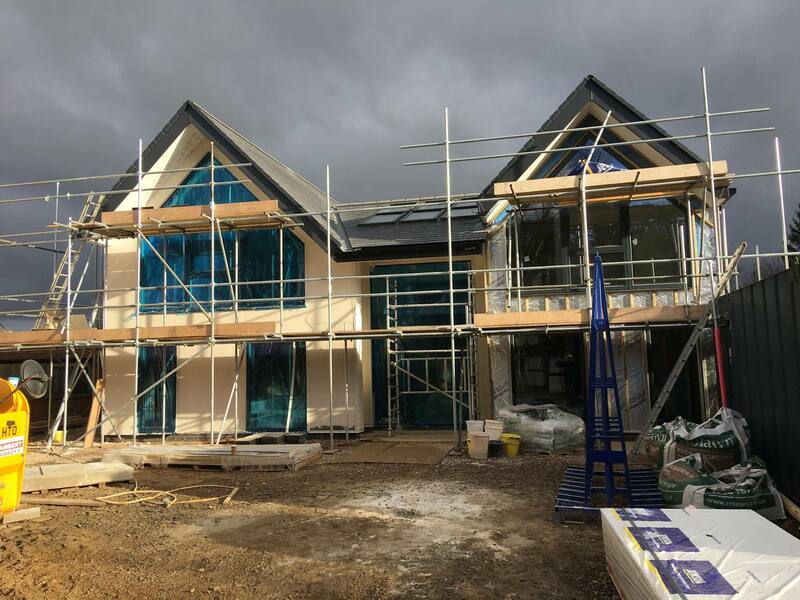 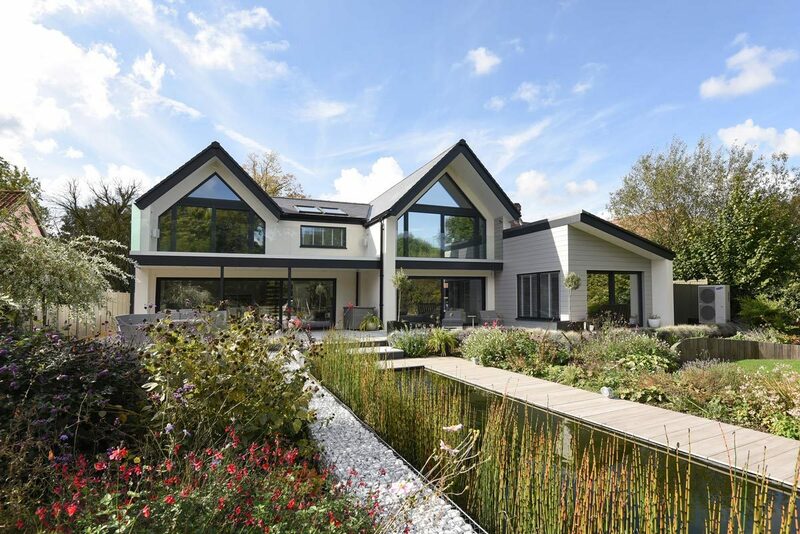 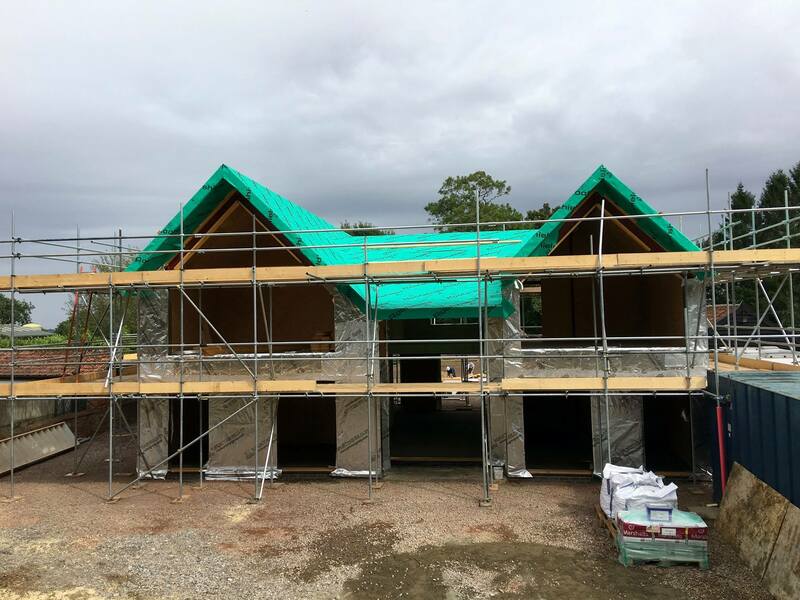 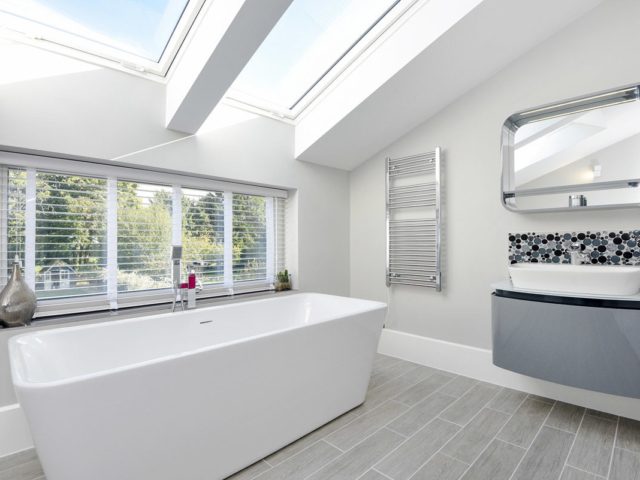 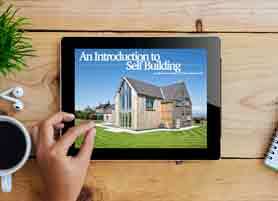 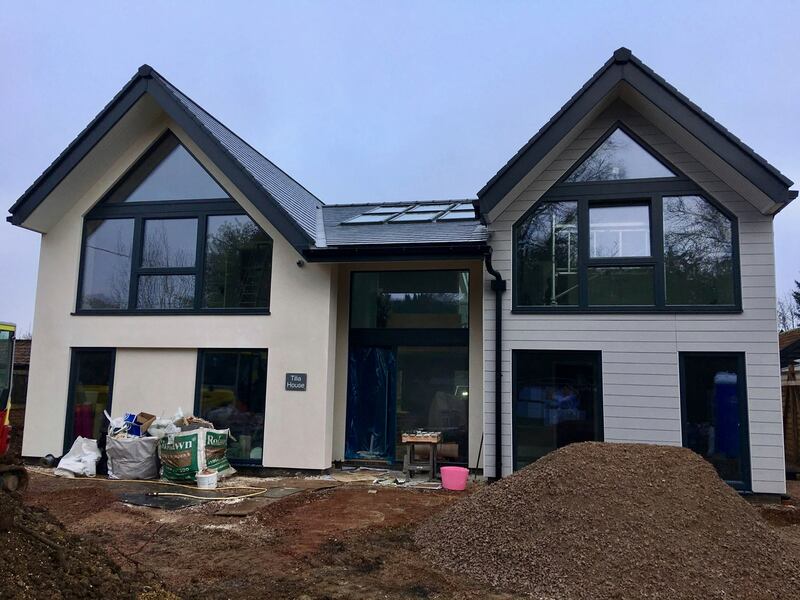 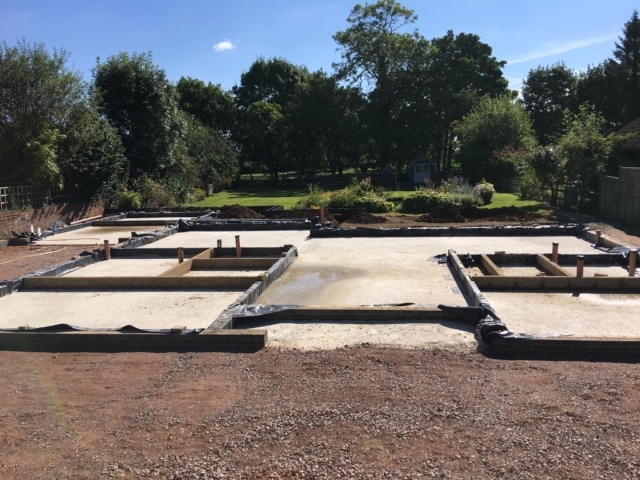 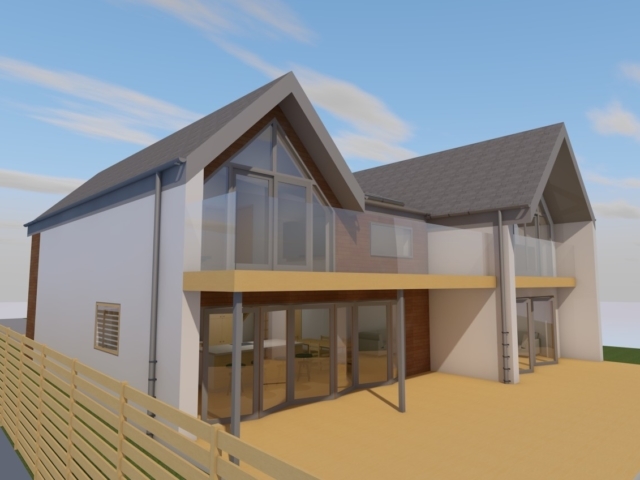 Through these weeks the 3D model of the Self Build was developed and fine-tuned to the exact requirements providing realisation of the initial vision. 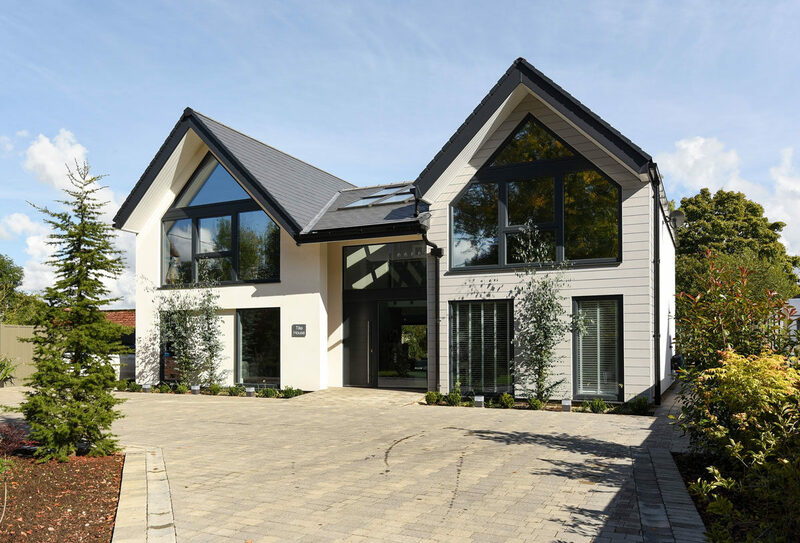 The completed Self Build design consists of a one-and-a-half story dwelling and one-and-a-half story double-garage with home office above. 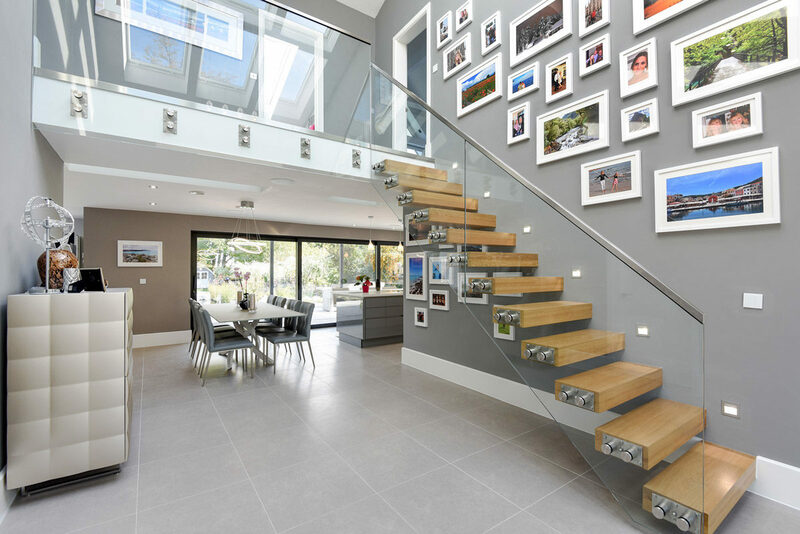 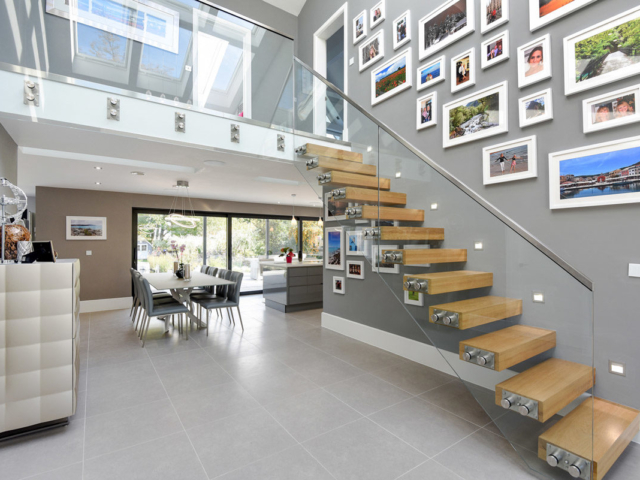 The ground floor of the dwelling comprises of a double-height entrance hall and feature staircase. 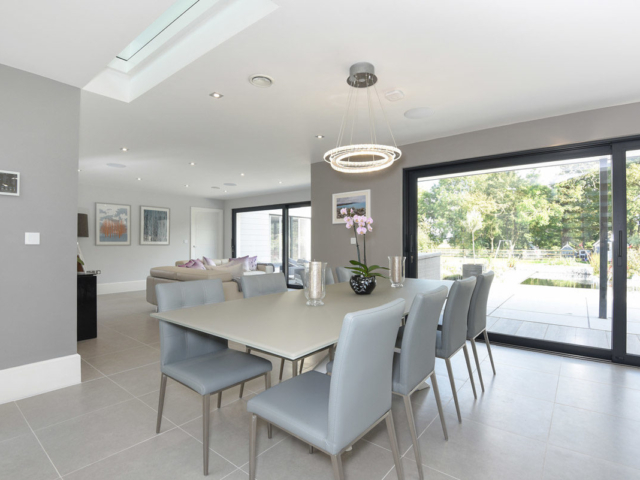 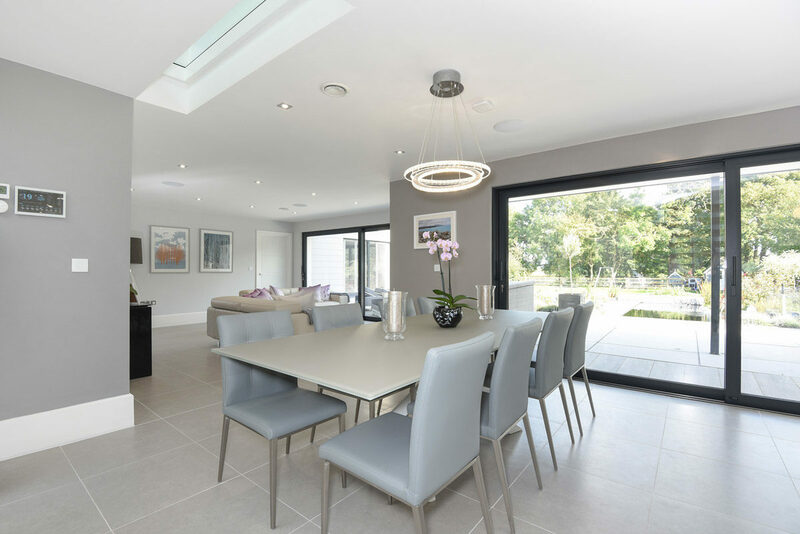 The hall leads through to the open plan kitchen and dining family room. 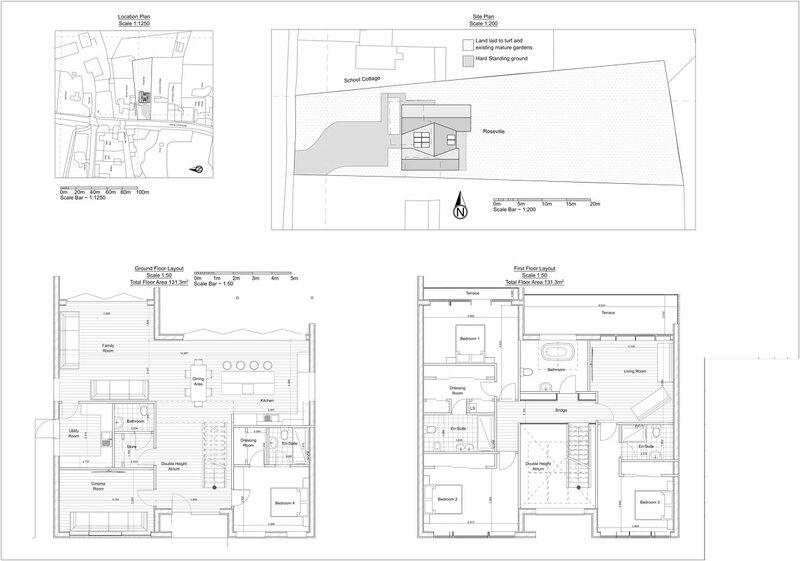 There is also a ground floor utility room, cinema room and double bedroom with en-suite bathroom. 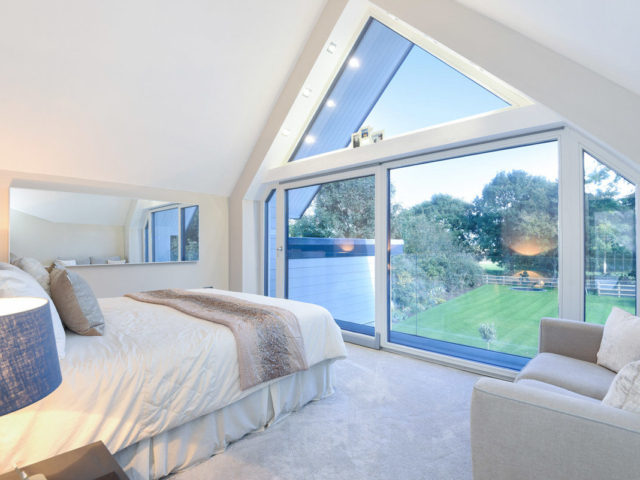 The first floor hosts further accommodation in the form of two double bedrooms with en-suite bathrooms, a further double bedroom, and family bathroom. 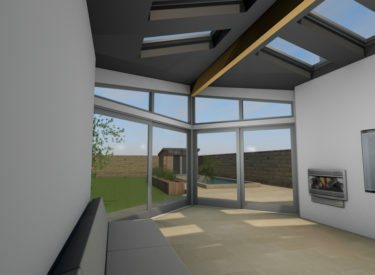 There is also a first-floor living room accessing an elevated terrace area to the rear of the Self Build property. 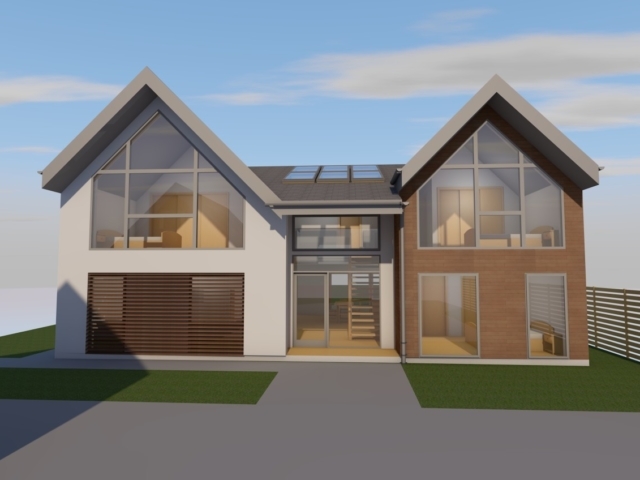 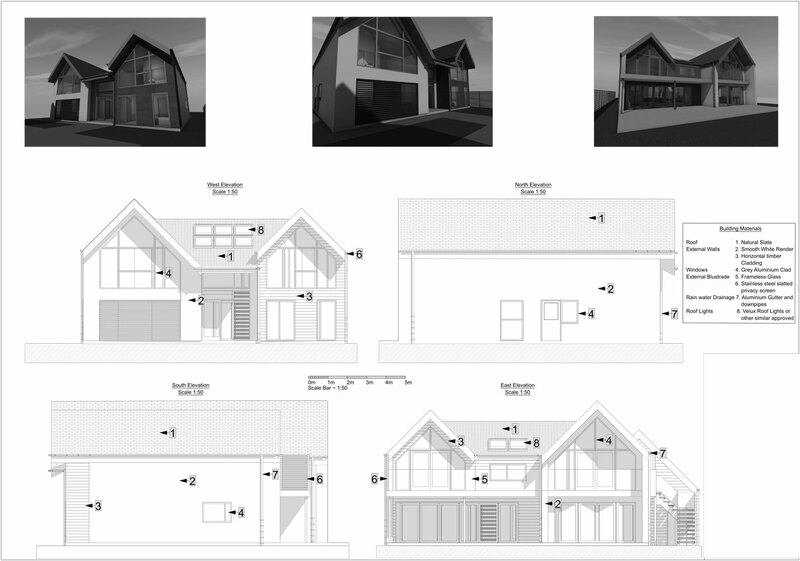 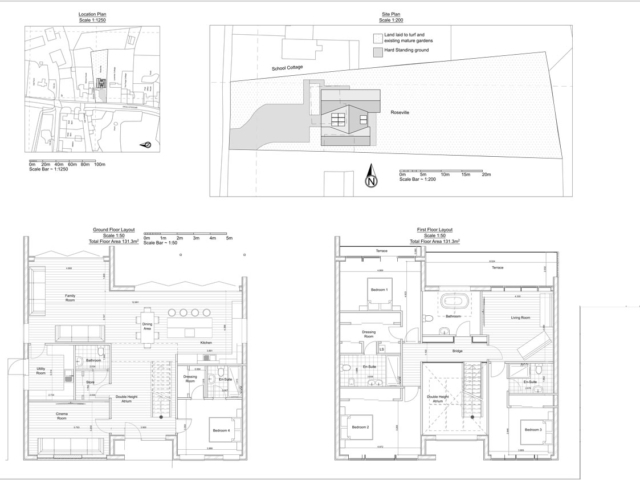 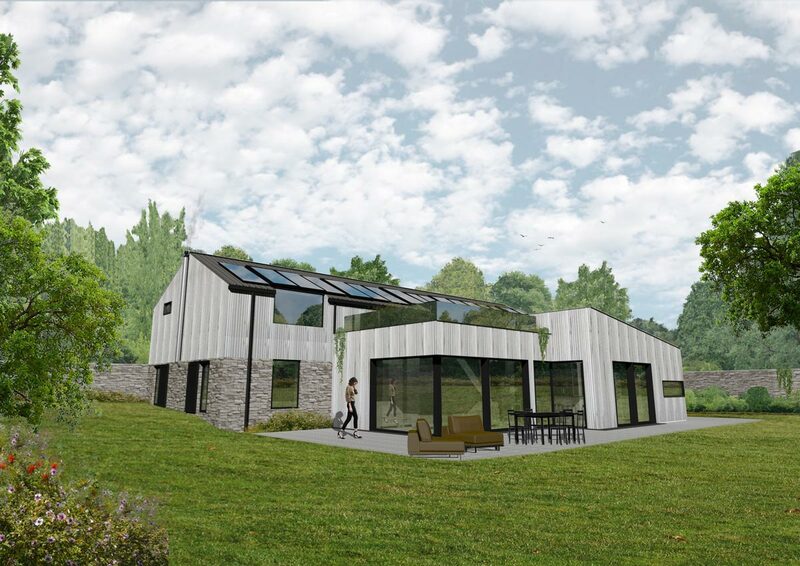 The property is currently awaiting planning permission but has received positive initial feedback from the local planning department, so thoughts are moving towards the technical side of the project and making the submission to Building Control. 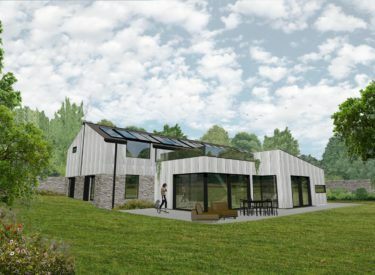 The proposed dwelling will be erected in the form of a pre-fabricated SIPs structure, providing both structure and thermal performance. 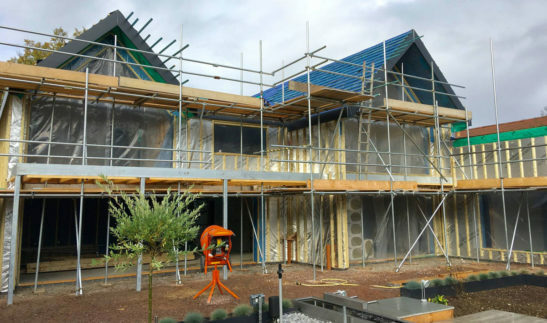 This construction method will likely be coupled with a MVHR (mechanical ventilation and heat recovery) system to complement the high level of airtightness associated with the SIPs method of construction.